This is one of those films which I decided to watch after browsing Sky Movies cinema. There have been a lot of those lately. However, I tried to remain as neutral about this film as possible. 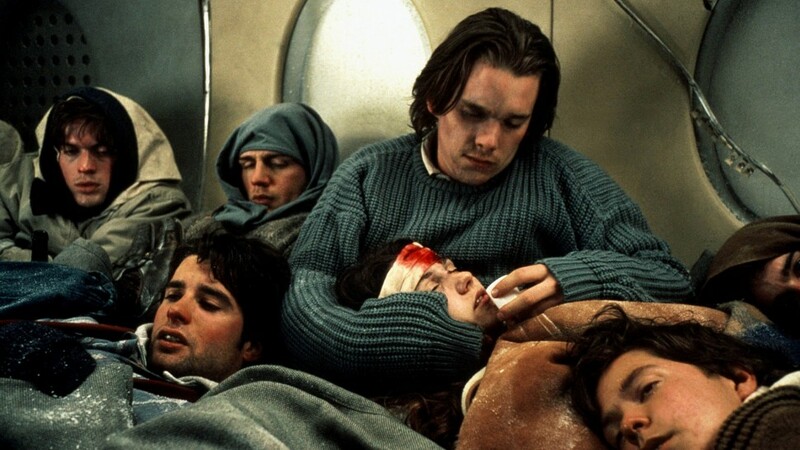 The cast certainly gave solid performances as they portrayed passengers scared for their lives following the crash, as well as the relationships between survivors as they later resort to cannibalism. The actors were believable and the atmosphere was brilliantly wrought. I didn’t know that some of the survivors were technical consultants for the film, but that makes sense when you think of it. While I was quietly impressed by this film, I didn’t like how on the nose it was sometimes, especially in regards to religion. This wasn’t a major distraction but it was distracting enough to be noticeable. I guess circumstances are open to interpretation when you are fearing for your life and the lives of others. In the same way, there were a few moments where I wasn’t too sure if it was supposed to be a comedy or not. This film is more than a disaster movie. It serves as a memorial to the victims of the real life disaster on which this is based, and it elucidates this well. Luckily the central concern of the film – the cannibalism – is not given much attention as would be seen in a film such as a horror. By diverting the attention away, it reminds us that the most important thing is not how the survivors survived, but that they survived in the first place. Within itself, that shows how powerful human endurance can be. A good film to watch, just don’t watch it before catching a flight.